Most projects start with a vision, but how is that defined and who is responsible for it? Kevin Balch talks about the role of the Architect in championing design quality. For a long time, design leadership was the sole remit of the Architect. With more and more diverse forms of procurement and increasing specialisation within the design process, this role has been diluted. But the need for effective listening and collaboration between the team has never been greater. Architects should champion design quality and lead its ambitions. It always was and still is their greatest skill. Design Management is a term we use for how we manage the process of delivering complex briefs with large consultant teams. It’s all about understanding what is required and making it happen, and a key part of this process is the requirement of defining the client’s values and then assembling the project team to deliver them. All too often the responsibility matrix is prepared before the lead designer is appointed, but clearly all disciplines need to contribute on who does what at each stage of the project. Whilst the notion of value certainly starts with the client, it is the project’s designers that understand what that means and can deliver it. This might relate to design quality, fitness for purpose or whole life costs as much as capital cost and timeframe. The design delivery stages, technical, regulatory and commercial pressures all put pressure on the successful delivery of the Vision. 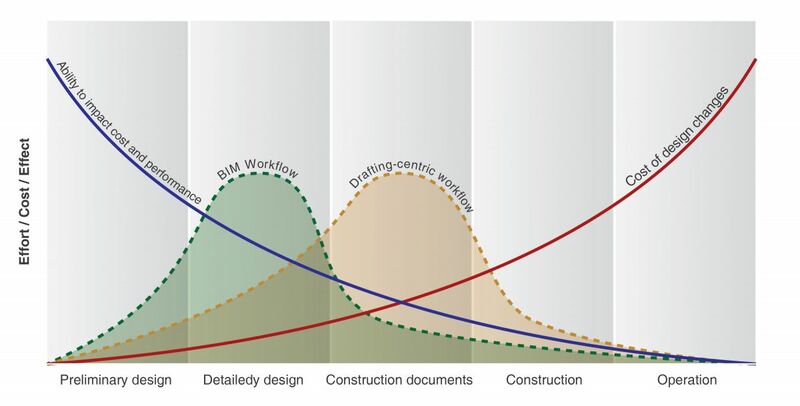 The holy grail of BIM promises better collaboration between the design team, but the increasing specialisation and marginalisation of each discipline fragments ownership and risks gaps at overlaps. The use of a responsibility matrix in the appointment documents is the industry response to defining who does what, but without proper ownership, clear process management and a truly collaborative approach it can’t deliver a successful project. It’s about bring creativity, insight and leadership to a process that can all too often be driven by the constraints of a cost driven world. Getting this balance right in the first instance is key, if we are to deliver value to clients and quality in our buildings. This absolutely gets back to what the core skills of an Architect are, that of problem solving. Getting design to match the budget is just one of those problems. Whilst some projects will be driven by technical compliance and others by conceptual ideas, it can be a slippery slope to split these two apart. The reliance on specialist design managers is regrettable. Time and time again, we hear the phrase Design and Dump used by contractors for the Design & Build process. This is not helpful and a clear indication that the leadership of a project has been lost somewhere down the line. The Architect is often best placed to champion and balance the aspirations of the project and to this end we are always very keen that the project management and cost consultants understand what value really means for the client and the project. Only then can they really make an informed judgement about cost and time issues.